Give the gift that new parents will ooh and ahh over and babies will adore. 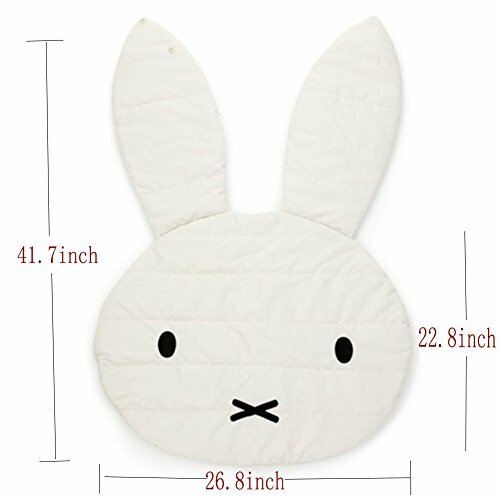 Baby Mats are animal friend floor mats that are luxurious to the touch for you and baby. This rug is made of high quality super soft material with anti-slipping bottom design,safe and carefree for your baby to feet on. It will quite brighten your home,add a sense of fashion,cute and beauty to your house.Suitable for decorating,home,kitchen,living room,bedroom,bathroom,wedding,party,celebration or any occasions.Bring it home right now! We keep providing you "all the best".Please provide the proof of video or picture if products have quality problem after receiving the parcel within 7 days,we could offer refund or replacement.If you have any question about the item,please do not hesitate to contact us immediately and we will give you a satisfactory reply within 12 hours.